The Creative Arts Guild will host the Dalton State Singers on Tuesday, April 16th at 7:30pm. 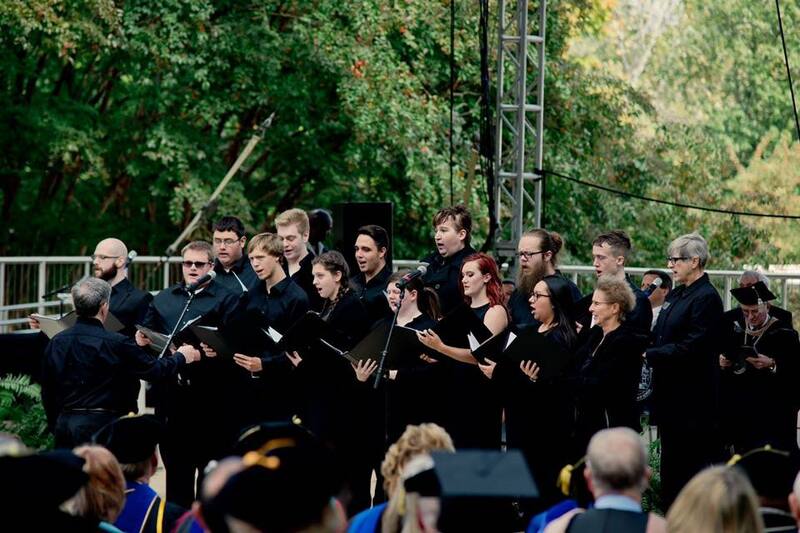 Dalton State Singers are directed by Andy Baker and includes students, faculty and community members performing choral and popular music in a range of genres and styles. The performance will be held in Jonas Hall at the Creative Arts Guild, located at 520 West Waugh Street in Dalton. As one might expect, colleges and universities everywhere tend to be home to a variety of artistic talents and skills as well as being centers of general academic excellence. Dalton State College is no exception! The DSC community of students, faculty, and staff is blessed with a wonderful assortment of individuals who, in addition to their academic vocations, also share a love of music and singing! These fellow performers make time to prepare and present concerts of delightful entertainment such as the one coming up on April 16th. Don’t miss it! Admission is $10 for adults, $8 for seniors over 65 and non-Dalton State College students, and free for Dalton State faculty, staff and students with a valid id. This concert is supported by the Dalton State Foundation and the School of Liberal Arts. For more information, contact Dr. Ellie Jenkins at Dalton State at ejenkins@daltonstate.edu. $10 for adults, $8 for seniors over 65 and non-Dalton State College students, and free for Dalton State faculty, staff and students with a valid id.